I just spend the last 10 minutes reading some of your older posts (plus this last awesome one) and i am loving it! such great pictures and receipes - i love the diversity of the food. it means alot to me! thanks for visiting my blog b/c now i can bookmark this one to come back again. Thanks! Glad you liked reading through the blog. I've been enjoying yours as well. Oh you guys, that looks so delicious! 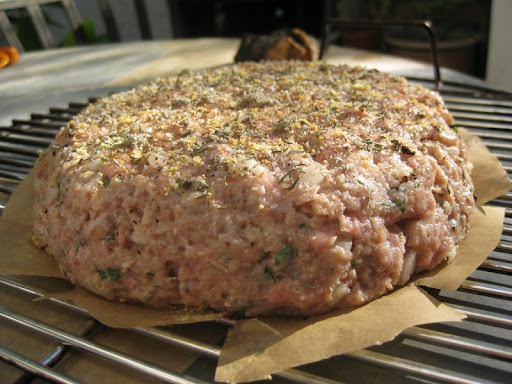 My mom used to make a freeform meatloaf that would get crusty on top, then slather it with barbeque sauce when almost done. I don't think you'd the sauce on this one though. Hi Rayrena, thanks! 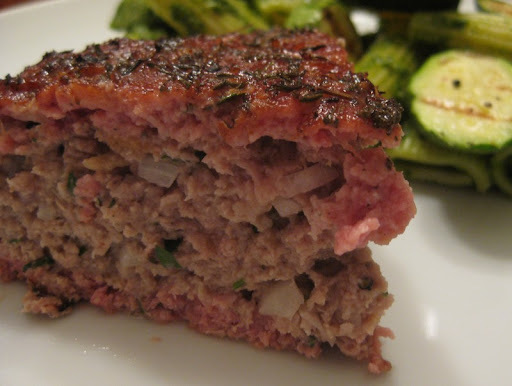 I think a lot of us grew up with some sort of tomato or ketchup-based glaze on our meatloaf. I really like our herbed crust as an alternative, but for the smoked version I think a little barbecue sauce would be terrific! Mike I had to link to this in my comments, and I'll throw a link up when I update again. 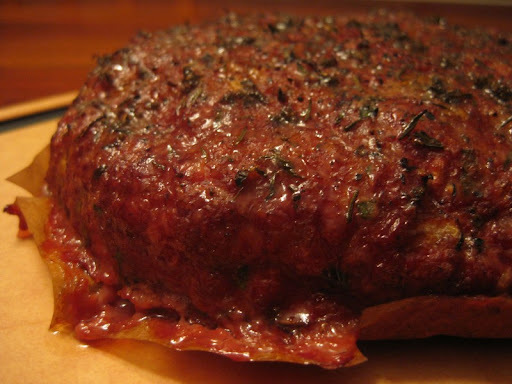 The smoked meatloaf pictures are just awesome! Thanks, Ryan. I've been enjoying reading your blog for a while now. Your marrow bones looked great! We did a short post on that recipe last year: Roasted Marrow Bones with Parsley Salad. Good stuff. Great site. Ever tried making smoked totmato salsa? Blanche the tomatoes for 1 min in boiling water then chill in an ice bath. peel. chop and add your favourite salsa fixin's. Made mine with diced strawberries and basil today! We've never tried smoking tomatoes - a smoked tomato salsa sounds like it would be really good!